Just bumping up another old favorite here. 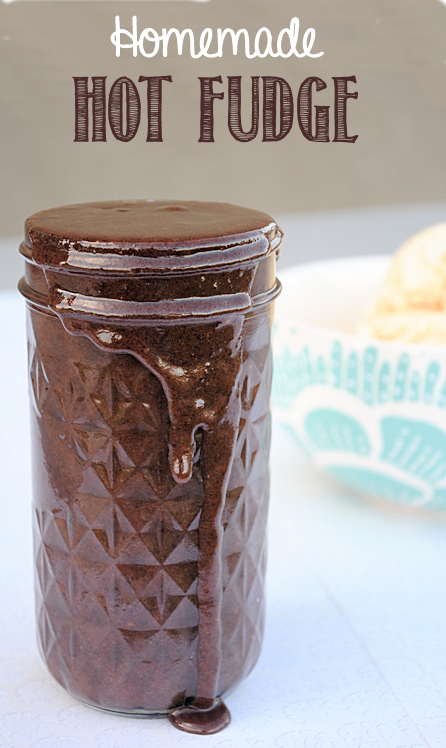 This hot fudge is to die for! This recipe is coming down the generations through my husband side. My grandmother in law is where the recipe originated for me (not sure where she got it) and it is my mother in law’s claim to fame now. 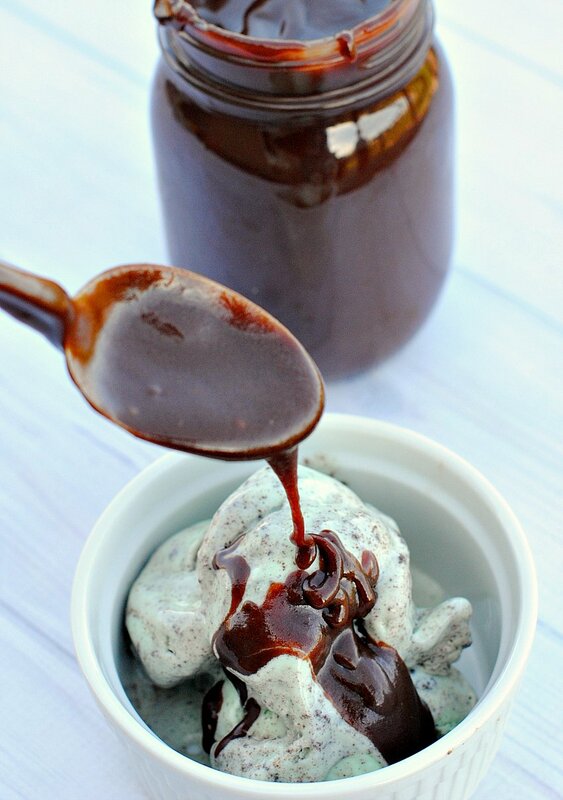 The truth is that usually my hubby makes it when we have it, but maybe I better step it up and be the one to make it so that the tradition of women married into the family making this wonderful hot fudge recipe can live on! This stuff is AMAZING! Melt the chocolate in a large, heavy pan on low heat. Stir in the sugar and the milk. Cook over medium heat stirring constantly for about 20 minutes. It will start to boil around the 7-8 minute mark. Keep cooking until it is the thickness you want (remembering that it will be thicker when it hits the cold ice cream). Add vanilla and stick of butter/margarine. Serve over ice cream. Or, do what my husband does and eat it by the spoonful. It freezes well too so you can just it later. We LOVE to have hot fudge sundae parties with neighbors and friends and serve this hot fudge with a variety of toppings to go with it. We like to top it with nuts, sprinkles, toffee pieces, cookies pieces, marshmallows, whipped cream, etc. What a great gift idea. Thanks for sharing. New follower from todays blog hop! Stop by and link up to Moms Monday Mingle if you would like! Yum! I’ve never tried to make hot fudge before. I’ve got all of these ingredients just sat at home – I’m so going to give this a try! I’m thinking end of the year teacher gifts? YUM! Can’t wait to see what you make next. Do they need to be refrigerated? I’m DYING to make this for a friend who lives far away! I am so making this! 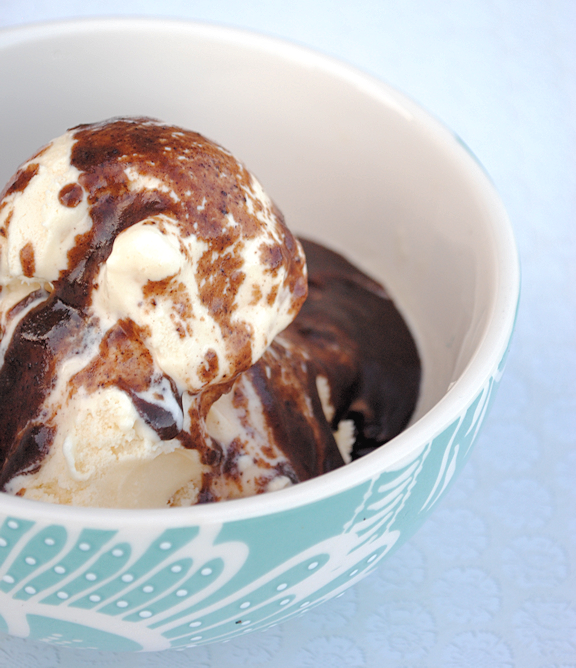 I love, love, love hot fudge!! Thank you so much for sharing!! Thanks for sharing this at The DIY Dreamer.. From Dream To Reality!! This looks so yummy! I need to go make one! Thanks for sharing at The Winthrop Chronicles. I have never made my own hot fudge before. The ice cream sundae looks so good. This would make a really good gift as well. Thanks for sharing at Showcase Your Talent Thursday. I hope to see you at the next party! OOoo yum! My Mom makes the best hot fudge, and I don’t know why I never thought to make my own until just now. Thanks for sharing at oopsey daisy! Thank you for linking up this recipe, it is featured on this weeks craft create and inspire linky party !! I did make this as gifts for teachers and it is super yummy. I have just been putting it in canning jars and saying to refridgerate after opening, but since it has milk ingredients I am wondering if I should have said to keep refridgerated and heat before serving? I am going to do that with the rest to play it safe. Yes, we always refrigerate it. Or freeze it if we want it to keep longer. When you say “stick of butter”, do you mean 125g or 500 g.
It’s half a cup which probably also doesn’t help…I just don’t really know. Sorry! Hello, I am going to make these for my son’s preschool teachers! How many oz is the evaporated milk can? I think they come in 5 or 12 oz? And how big are the canning jars that you use? I wanted to make sure I buy the right size of everything! Thanks!! The milk is in a 12 oz. can. I used small jars but you can use any really. Thanks so much for sharing this recipe with us. Passed down recipes, which are tried and true are the absolute best!! 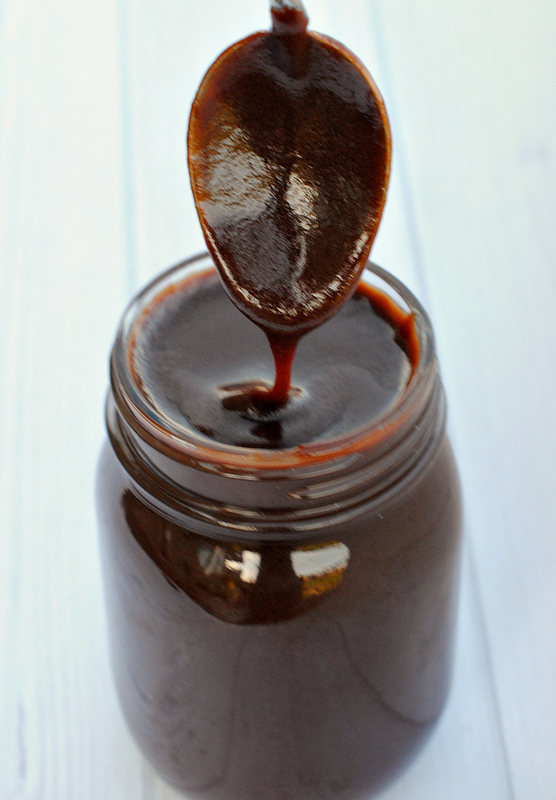 How much Hot fudge sauce does this recipe make? How many of what size jars? It makes quite a bit but I have to admit that I have never measured it. It would fill several jars. Thank you so much for sharing! I just made this and I am in love!! I had to use the cocoa and oil, but it turned out amazing! I will never buy hot fudge sauce again!! Not sure about canned but definitely frozen. Made this last night. Absolutely delicious! But a little gritty. Any suggestionson why that is? Make sure to use a whisk to mix the ingredients. That helps. And did you remember the butter at the end? Just made this and it’s yum. It made 2 jam jars (2 x 415g – which is about 2 x 15oz). The butter amount is 175g/6oz roughly. 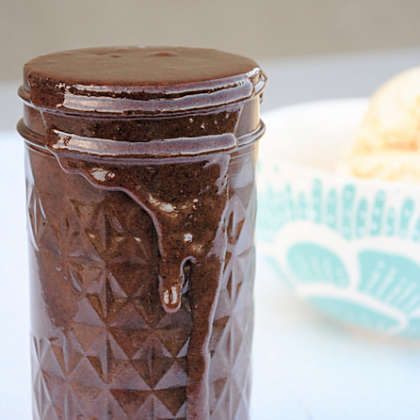 My mom used to make this sauce when my family made homemade ice cream years ago. I googled some of the ingredients hoping to find a recipe – and here it was! The exact same sauce! Thank you for posting it. I just put all of the ingredients together at the same time, used the cocoa, but omitted the oil because I didn’t remember my mom using that. It came out great and my little daughter loves it just like I do! Do you melt the butter? You put it in the hot sauce and it melts. Great. thanks. I love to get new recipes.. Brings some joy to the day..
Not much for putting sauce over ice cream but I do like for dipping fruit in. I just put the sauce in my fondue pot; have variety of fruit handy and start dipping away. I make it using brown sugar….it’s really yummy!!!!! Oh really? Interesting. I’d be curious to taste the difference!